For The Cleanest Carpet in South Jersey..
Ultra Klean is your ultimate indoor cleaning solution. We are a family owned and operated carpet cleaning company & much more! We have proudly been serving Camden County, Atlantic County, Burlington County, Cape May County, Cumberland County, Gloucester County, & Salem County since 1985! If you're looking for carpet cleaning, upholstery cleaning, tile & grout cleaning, or air duct / dryer vent cleaning call us today! 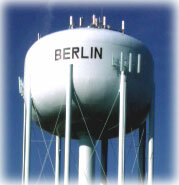 We are located right in Berlin, New Jersey. Call your local, trusted carpet cleaner today. For a FREE no obligation quote! I would like to welcome and thank you for visiting our website. Over the last few years, Ultra Klean has gone beyond just carpet and furniture cleaning. Our company now offers air duct cleaning, dryer vent cleaning, sandless and dustless hardwood floor refinishing, and tile and grout cleaning. We're now offering green and anti allergen cleaning as well. We have performed cleaning services for thousands of pleased clients over the last 25 years. Our cleaning services come with an unconditional guarantee. If you are unhappy with any cleaning service we perform, we will come back and re-clean it. If you are still not satisfied, we will issue you a 100% complete refund. No questions asked. Our passion is to give you the most thorough, highest quality cleaning at an affordable cost, whether it be carpet, upholstery, tile & grout, air duct, or wood floor cleaning. Most important of all, when you do buisiness with us, we consider you a valued client long after the sale, not just a quick transaction sale. We guarantee to be only a phone call away 24/7 for any concerns you might have. Our Work... Click Here to see more. "We have used Ultra Klean for 20+ years and have recommended him to friends with rave reviews. Brian has cleaned our carpets & furniture perfectly each visit. He's the only guy we call. My carpets look like new after a visit from Ultra Klean. I was so pleased with the results that I asked them to come back and clean my ductwork and my kitchen floor tiles. I thought I was going to have to replace them but all i needed was a professional cleaning job. Thanks so much Ultra Klean. My family has used the services of Ultra Klean for more than 20 years. Brian, the owner, is an expert in his field. He is honest, thorough, reliable, and extremely knowledgable. We continue to use the services of Ultra Klean and recommend Ultra Klean withouth hesitation to family and friends. I owe you and your fabulous crew a sincere thank you for yet another great job cleaning my most recent home's carpeting. It looks, feels and smells brand new! As usual your crew was right on time, efficient, and saw to it that any of my preferences were acomplished. To this day i am amazed at the results and the quick dry time. My thanks to you and your crew. 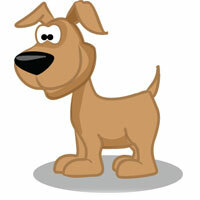 Are You Having Pet Odor Problems? When your carpet is saturated with pet urine you know what a nightmare it is to live with the odor, not to mention the embarrassment. The good news is, most of this is correctable. We can help! We have a special pet odor removal process to help eliminate all or most of the odor. Why is pet urine such a dilemma? Let me start by saying, there is a big misconception. Most people think that pet stains and odors in carpeting will be removed in the carpet cleaning process alone. Sometimes they do but that's not always the case. Carpet cleaning by itself does not always eliminate the odors. For example, if a large dog urinates on a carpet, in most cases it always seeps through carpet and into the padding, and in some cases even into the floor. Cats can do even more damage by soaking the carpet, padding, baseboards, tackless stripping and flooring. As you can see, the problem goes much deeper than the carpet itself. Our Pet Odor Removal Process cleans deep into the carpet, padding and flooring. To learn more about pet odors click here. Green cleaning is the process of cleaning with cleaning agents that are derived from natural sources such as plants and minerals. Examples of these cleaning agents are natural citrus (derived from lemon or orange peels) and another is baking soda. Green cleaning agents are non toxic and do not contain volatile organic compounds (VOCs). This means that such cleaning agents will not release harmful fumes. The products that are Green Seal Certified are 100% non toxic and 100% biodegradable. This means that they are totally safe and they all return to nature through natural decomposition with nothing left behind. These are the safest cleaning agents on the planet. To Get Your Free Stain Removal Guide Click Here. 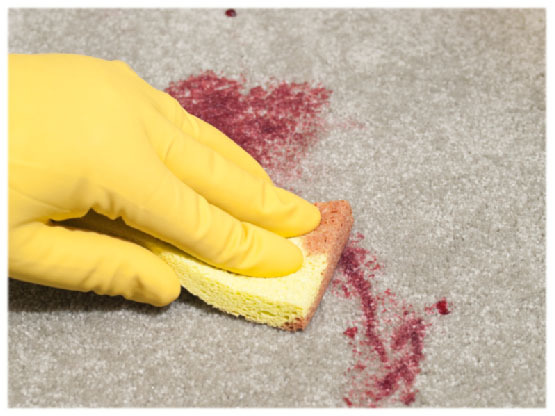 Learn what stains can be removed from your carpet. There are many different stains that are likely to be removable from your carpet fibers and many that are not so likely. We carry many different spot removers to take on almost any challenge.